Keeping high morals for the important concept when conducting business. The concept of international marketing enterprise system as management footsteps. The tea world has concentrated on studying the improvement of traditional tea drinks flavor continuously for many years. With the development of a variety of tea drinks, the tea world insists that the tea drinks are researched and produced under strict scientific and modern technology systems so that the notion of advancing the quality of good tea drinks can be achieved. 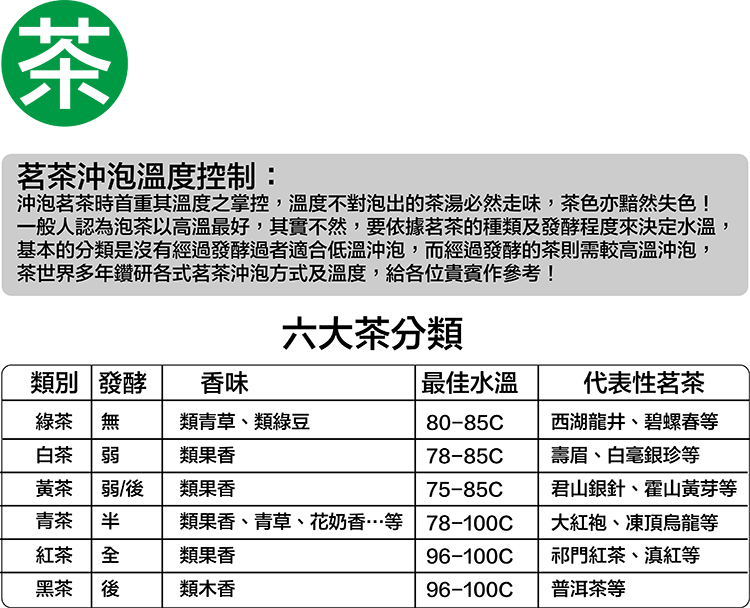 .Under the concept of digital managing technology and excellent supporting service, our company has entered the phase known as international market enterprise. One important concept to understand is that the tea world determines the service spirit of its teas to the places where tea drink exists as a commodity. As a result, the tea world expands its service area in a positive manner as well as to complete its mission of service; which is to make its tea an omni-directional service of tea world. 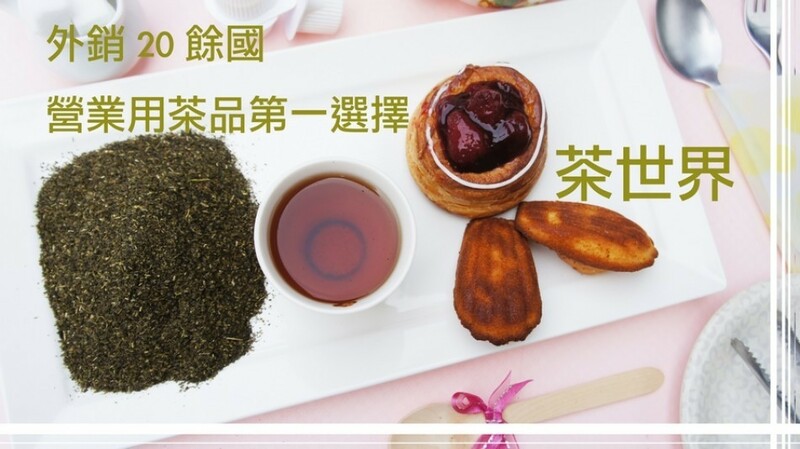 In addition, the tea world attracts young people as it also offers a high quality mountain tea with Paris green color. Similarly, it offers a mild Pouchong tea for older people who can make tea with small teapot so that they may enjoy their tea socially. 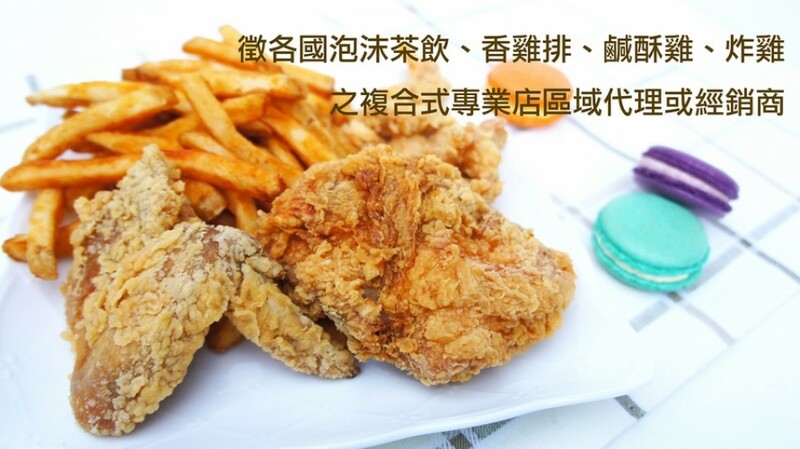 1.Commercial Wholesale Tea — The chain tea bar, bubble tea drinks, combined tea restaurant. 2.Delicate Fine Tea — High Mountain Oolong Tea, Pouchong Tea, Bai Hao Oolong, Tei Guan Yin Tea, Osmanthus Oolong Tea, the four season spring tea, Japanese green tea, Japanese brown rice green tea, Japanese oil cutting green tea. The tea world is engaged in tea import and export. Additionally, we mix the tea professionally. There are many species of tea leaves - the main origin areas are Taiwanese high mountain, China, Vietnam, Sri Lanka which all has their own characteristics. All species of tea leaves can be mixed to suit the customers’ personal tea preferences as well as the overall tea texture. Black tea: English-black tea, coffee colored tea, the wheat pekoe tea, the Sri Lanka black tea, Early Gray milk tea, special Assam, High level black tea. Top grade Jasmine green tea: The tea soup is both clear and bright. It has fresh flower fragrances. It also tastes sweet and non-bitter, just like the flower and tea aroma mixing. It can be called the best quality goods, and can follow personal (or shop style) character to demand it as Jasmine fragrance. High Mountain Oolong: Fresh and sweet aftertasteThe Jadeite Green tea, Osmanthus tea, Dong-ding Oolong tea, Pouchong tea, cold tea. Oriental Beauty, High Mountain oolong green tea, oolong blue-green tea, baked oolong tea. One other’s Japanese green tea powder, healthy oil cutting tea, Brown rice tea, and Japanese roasted tea. The inferior quality tea on the market will suffer elimination in public. Our company may offer the variety tea types and accord with your flavor and taste to suit you. If there are any questions and need about tea, our company will dispatch tea experts so that can clearly introduce and illustrate and teach all customers the skill of making the perfect cup of tea. It addition, it will also enable the customers to be the perfect bubble tea maker. Each of The different fermented levels has different scents, as well as entirely different aftertastes. The most important aspect about making tae is temperature control. If it fails, the tea soup will turn into a dark color if the temperatures are not regulated. General people thought high temperature water is the best suited for making tea, yet, it is quite the contrary. 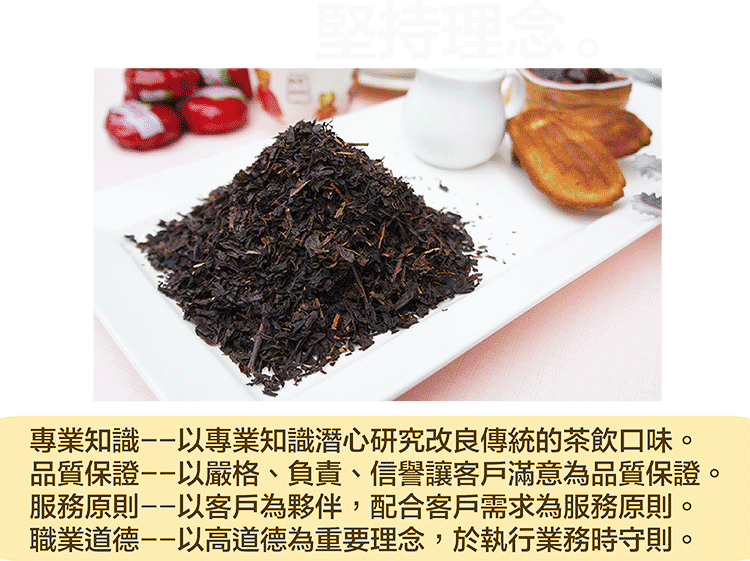 We should accord with the tea type and the tea fermentation to decide the most appropriate temperature of water. There is no fermentative tea suited towards low temperatures water. Overall, the tea world has studied many methods of tea making, and out of all aspects of tea making, temperature control is often rated by consumers as being one of the most important aspects of tea making. Only experiences the tea world, you can truly realize the forgettable tea fragrance and enchanting taste. There are many kinds of tea that may depend on individual preferences, such as the environment, season and attributes of the shop. The best way to be competitive is to be out of the ordinary.All experts in the tea world will mix your selected fine tea.